Water Conserv II - 30 Years of Cooperative Water Reuse at its Best! Over 30 Years of Cooperative Water Reuse at its Best! Water Conserv II is the largest reuse project of its kind in the world. 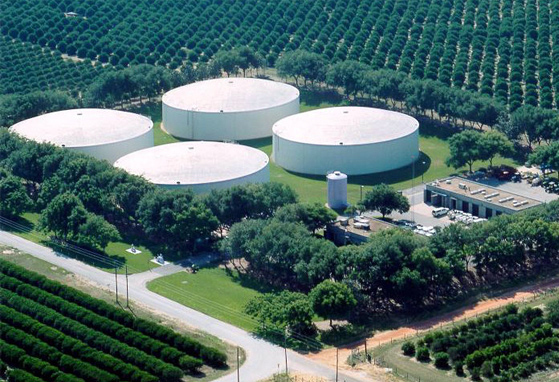 Learn about this exciting example of cooperative water reuse which irrigates up to 2,737 acres of citrus annually. Enjoy reading about this example of engineering ingenuity, creativity, and state-of-the-art technology. Faced with a need to expand wastewater treatment service and a state requirement to eliminate discharge to surface waters, the City of Orlando and Orange County formed a long-term partnership to develop an innovative water reclamation program. Following a lengthy and detailed review of potential projects, a combination of the two most promising was chosen and Water Conserv II was born. The project is best described as “A Cooperative Water Reuse Project by the City of Orlando, Orange County and the Agricultural Community”. 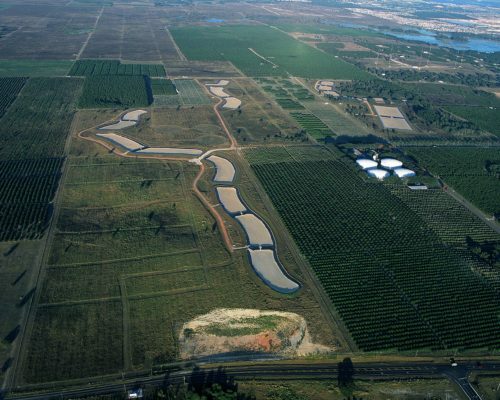 Water Conserv II is the largest reuse project of its kind in the world, combining agricultural irrigation with aquifer recharge via rapid infiltration basins (RIBs). The primary focus is agricultural irrigation. The RIBs are used for recharge of Florida’s primary drinking water source, the Floridan aquifer, with daily flows that are not needed for irrigation and excess flows during wet weather periods. Water Conserv II is also the first reuse project in Florida permitted by the Florida Department of Environmental Protection (FDEP) to irrigate crops produced for human consumption with reclaimed water. The project’s reclaimed water meets FDEP’s public access reuse standards and is permitted for use on all public access sites including residences and golf courses, food crops, foliage and landscape nurseries, tree farms, pasture land, the production of soil cement, and can also be used for fire protection.